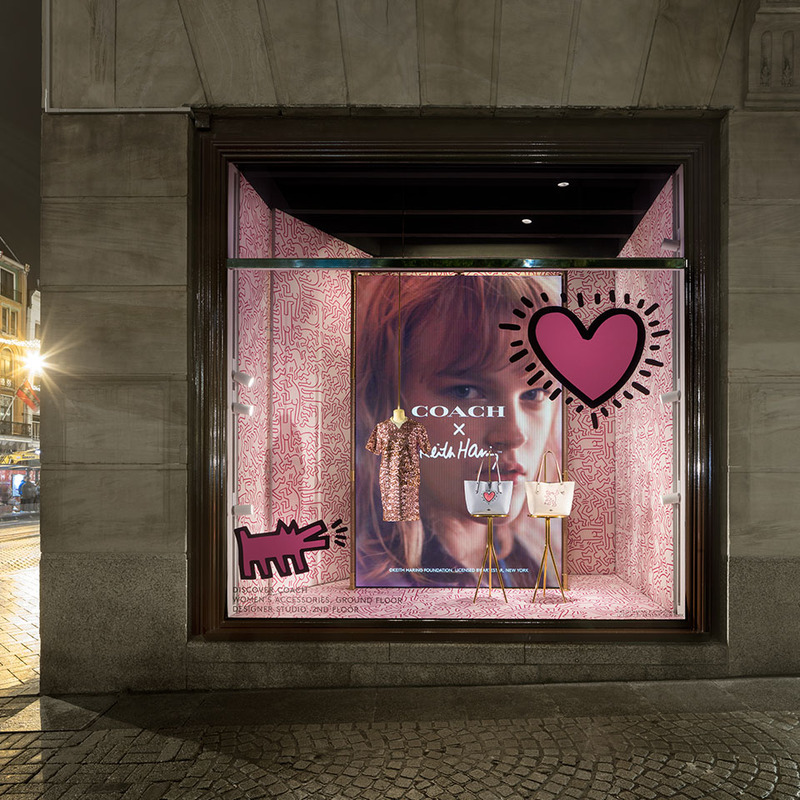 The Coach x Keith Haring scheme took over 5 windows and two instore spaces throughout De Bijenkorf department store, Amsterdam. 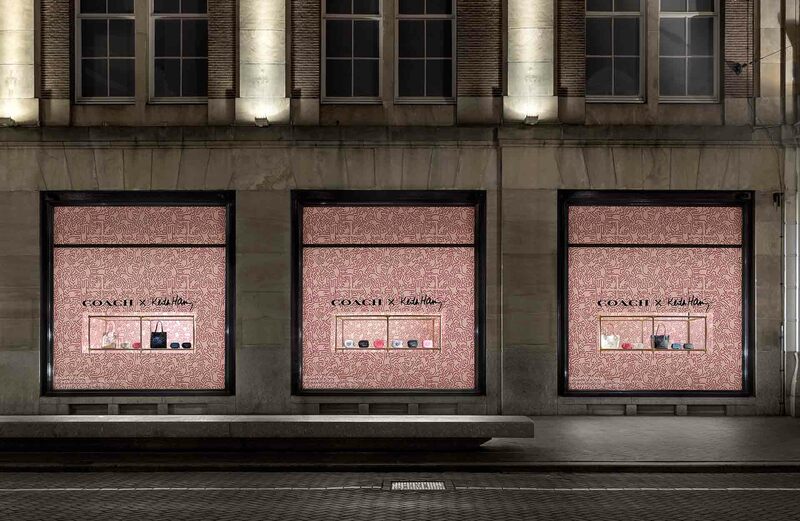 Two giant 3m height LED screens were placed in the corner windows, framed by scaffolding wrapped in COACH signature print fabric with gold fittings. 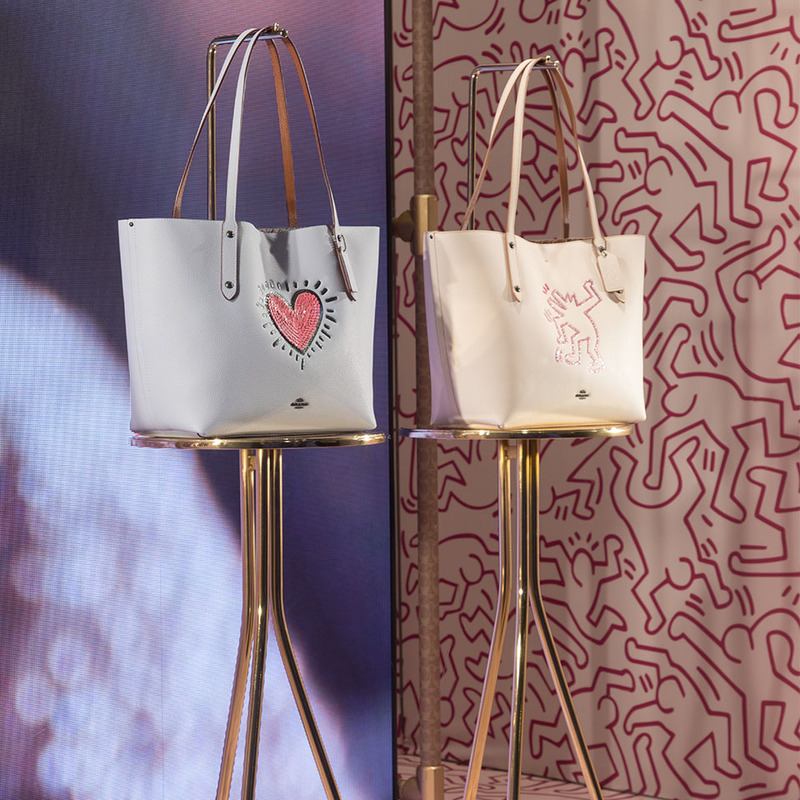 Electro plated gold tables propped up the Keith Haring emblem COACH bags. 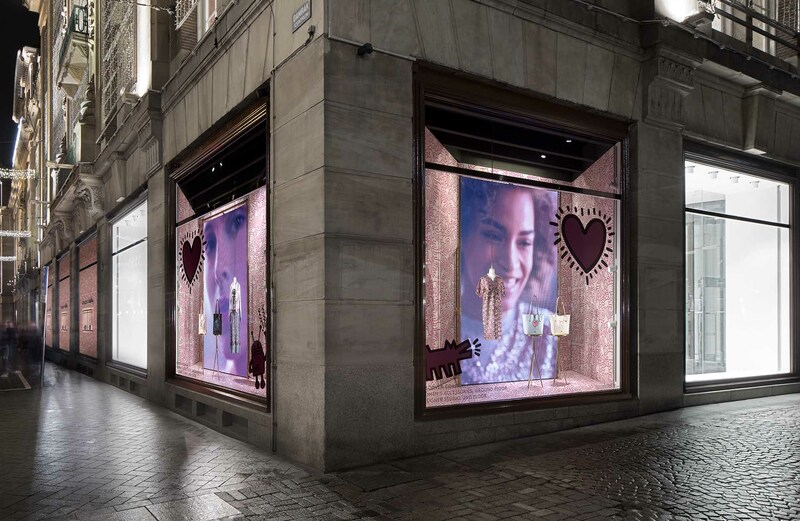 The scaffolding appeared again in the vitrine windows, this time holding gold shelves to support the product. 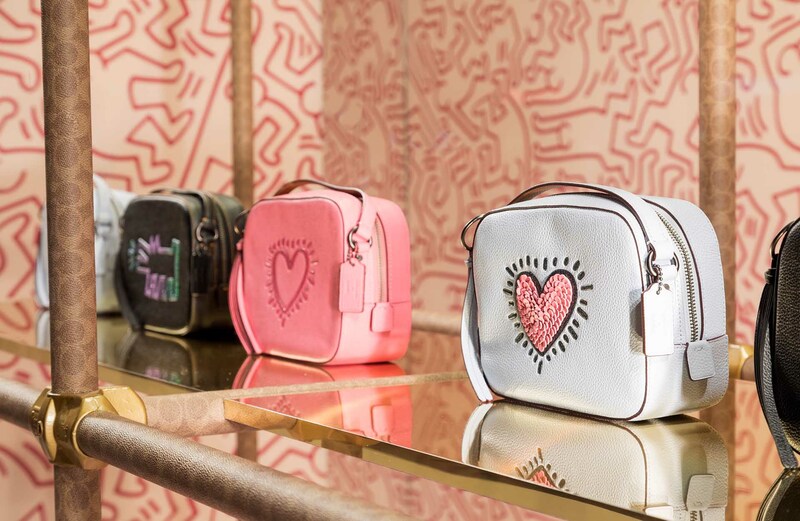 The Keith Haring print continued instore with a wall clad area in the accessories hall and column cladding on 2nd floor. 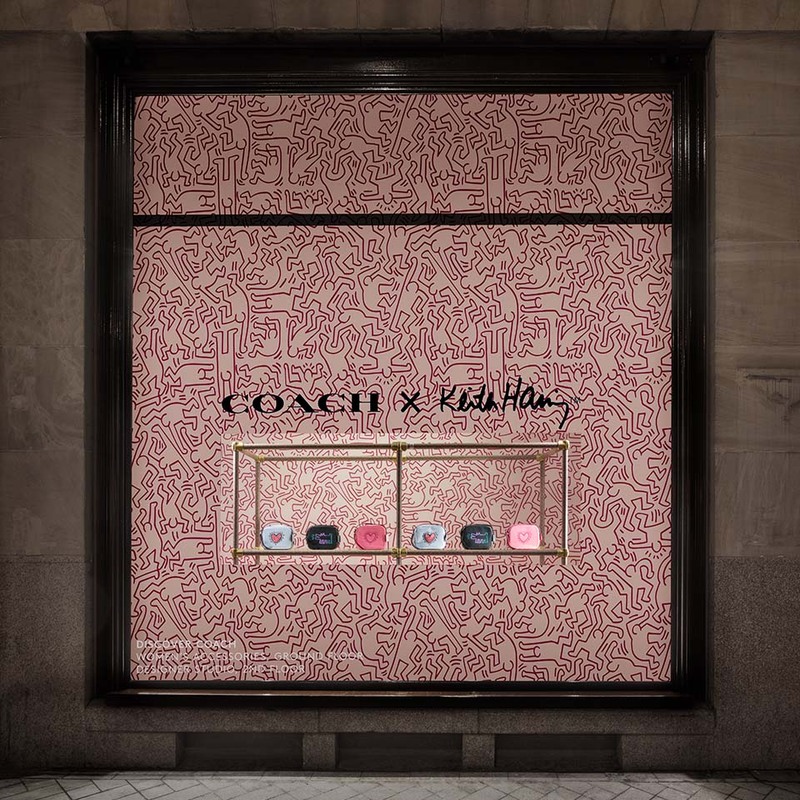 Designed by COACH, produced and installed by Harlequin.